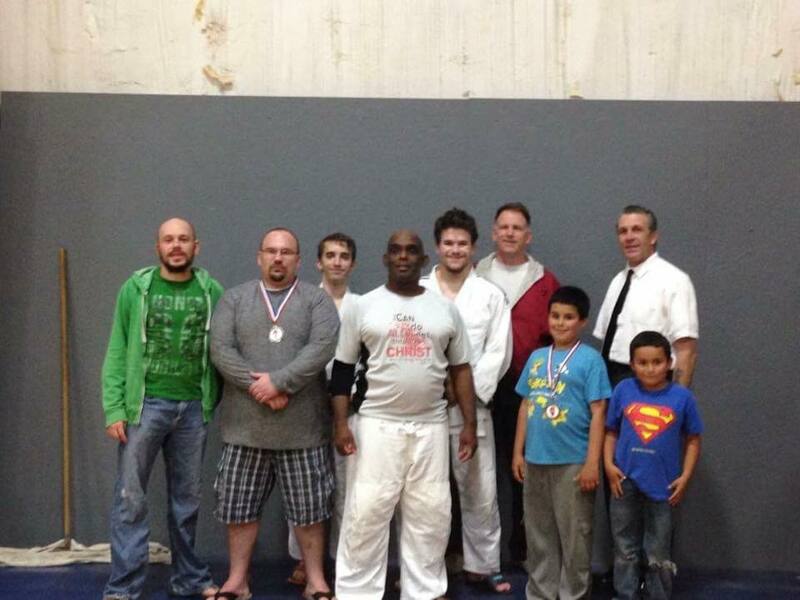 The 32nd annual North South Judo Tournament took place at the Family Sportplex in Belleville, Illinois on Saturday, May 18, 2016. The event was well officiated by Sensei Derek Wellman and Randy Pierce. Bryan Enlow made his coaching debut joining Dan Raney as the coaches for Team White Dragon. In the team competition, junior Cameron Duffield was the only judoka on Team South representing the White Dragon Judo label. Cameron won his match but the South lost the team match. The North retain the rights to the North South trophy. In the junior category, Cameron Duffield continued his winning ways pinning his opponents to win gold. Reisin Riley was up to the challenge in a talented bracket. She won her second consecutive North South silver medal going 3-1 on the day. Issac Valdez de Soto rebounded after a slow start to win bronze in his division. Veronica Booker was one of two juniors to make their Team White Dragon debut. Booker fought a tough gold medal match and got silver. Manareldeen Fajors was the MVP of the tournament. He displayed flawless technique winning all of his matches by ippon. He went undefeated on the day to take the gold home. In the senior division, Phillip Vojta showed significant improvement in a tough bracket. He went 3-1 on the day with a silver medal for his efforts. His teammate Byron Helrich performed even better. With his family in attendance, Byron executed a splendid seotoshi (shoulder drop) for ippon in the gold medal match. The Rolla, Missouri native has proven to be a worthy opponent. Jay Baker fought exceptionally well but was unable to pull out a medal in this tournament. In the veterans category, Bryan Enlow returned to the mat after a 10 year hiatus. Bryan outlasted his opponents to take a silver medal. Demonn Smith endured a tough day on the mat getting the bronze in the super heavyweight weight class.